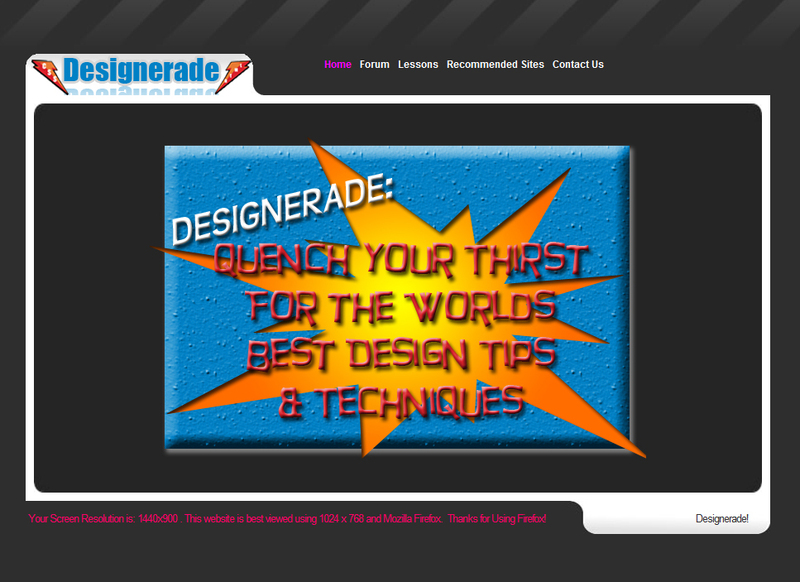 Designerade.com is the direct result of 5 multi-talented students from the New Jersey Institute of Technology (NJIT). Designerade.com is a class project, specifically for IS-270, Multimedia Information Systems. With the help of Striking Web Solution’s owner, Rob M. Reese II, the group devided to create not only a simple HTML based website for this project, but a real website on the web that people would actually benefit from. If you’re doing the work, might as well make something worthwile from it, right?! The end result was amazing and knocked the socks off of the professor and fellow classmates. Designerade.com uses a Content Management System as well as a forum to help spread the wealth of knowledge these 5 students had.